As mindful leaders we can transform fear to hope and possibility, and move toward creating a life of more meaning and satisfaction. LISTEN to today's conversation with Marc Lesser! Today’s leaders are consistently grappling with the pace and complexity of change, the challenge of supporting healthy collaboration and alignment among teams, and the resulting stress and burnout. The practice of mindful leadership may be one of THE most important competencies in business today if leaders are to move beyond fear, anxiety, nagging self-doubt, and the feeling of constant overwhelm. What could your work, and your life, look like if you knew how to stay focused yet flexible, if you got more of the right things done, and if you were helping to create a more peaceful world at the same time? Marc Lesser has taught his proven 7-step method to leaders at Google, Genentech, SAP, Facebook, and dozens of other Fortune 500 companies for over 20 years, and has distilled a lifetime of mindfulness and business experience into these chapters. 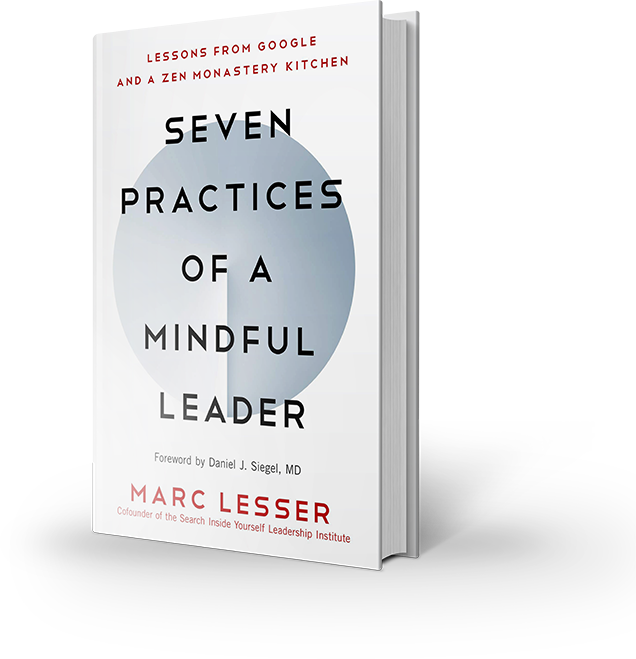 This incredibly practical, yet accessible book draws on Marc’s experience as a CEO of 3 companies, as co-founder of the world-renowned Search Inside Yourself (SIY) program within Google, and as a long-time Zen practitioner. The principles in this book can be applied to leadership at any level, providing readers with the tools they need to shift awareness, enhance communication, build trust, eliminate fear and self-doubt, and cut down on unnecessary workplace drama. Embracing any one of the 7 practices alone can be life-changing. When used together, they support a path of well-being, productivity, and positive influence. Practicing mindful leadership will allow you to achieve results – with more energy, clarity, meaning, and connection. Your intentions and actions will be more aligned. You will accomplish more with less wasted effort. After reading this book, you’ll understand why some of the world’s most successful companies routinely incorporate the 7 practices of mindful leadership, integrating mindfulness, emotional intelligence, and business savvy, to create great corporate cultures, and even a better world. 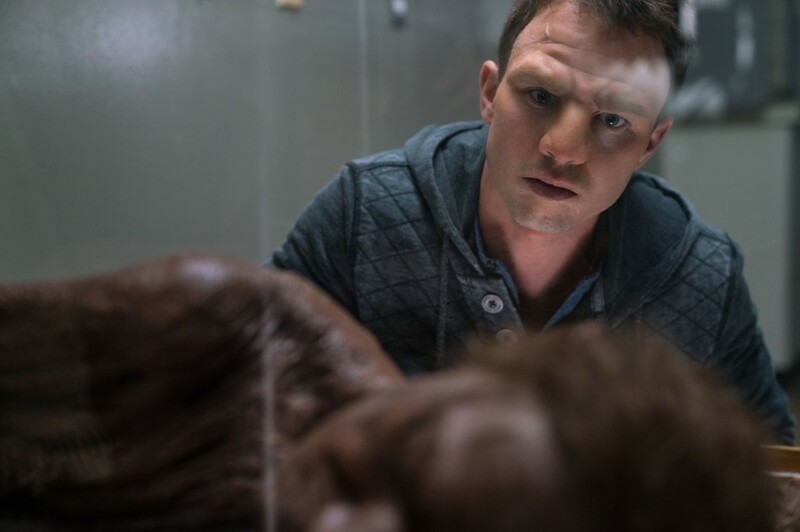 LISTEN to today's conversation with Marc Graham! CASTLE ROCK, CO—Award-winning author Marc Graham creates a fresh tale that weaves history and legend in Song of Songs: A Novel of the Queen of Sheba (April 16, 2019, Blank Slate Press). Using the newest archaeological finds and linguistic research, Graham constructs an accurate depiction of the Middle East in Old Testament times while bringing to light an important but rarely touched upon historical figure. Lift the veil of legend for the untold story of Makeda, the Queen of Sheba, and Bathsheba, wife and mother of Israel’s first kings. When Makeda comes of age she inherits what her father has left behind. Her city is on the brink of destruction as a crumbling dam threatens to wash away everything that Makeda has known. Graham’s characters explore the idea of familial honor in times of cultural disruption, their individual paths in light of their strong mythic beliefs, and to give voice to powerful women in history often neglected. Award-winning author Marc Graham dives into a much glossed over historical figure in Song of Songs: A Novel of the Queen of Sheba (Blank Slate Press, April 16, 2019). Using the latest archaeological findings and linguistic research, Graham constructs an accurate depiction of the Old Testament Middle East to revive the untold story of Makeda, the Queen of Sheba, and Bathsheba, wife and mother of Israel’s first kings. Marc is pledging half of the book's proceeds to Yemen humanitarian relief and is partnering with the Zakat Foundation of America who will be matching his funds. Marc Graham was raised in Michigan before attending Rice University in Texas, where he studied mechanical engineering. After spending several years traveling the country with his wife, he eventually landed in Colorado where he lives along the Rocky Mountains. His first novel, Of Ashes and Dust, won the Paul Gillette Memorial Writing Contest and National Writers Association Manuscript Contest. Graham is an actor, speaker, story coach, shamanic practitioner, and whisky aficionado. When not on stage, in a pub, or bound to his computer, he can be found traipsing about the foothills and mountains with his wife and their Greater Swiss Mountain Dog. Learn more at https://www.marc-graham.com/. 4/15/19 9:15am pst - Director/co-writer, Rick Hays, joined Janeane live on KUCI 88.9fm to talk about his film The Way We Weren't! LISTEN to today's show with Rick Hays! Get ready to fall in love....the wrong way! Vision Films, DiMuccio Entertainment Syndicate, Bella Pictures and Epic Entertainment Enterprises are delighted to present the laugh-out-loud comedy about the lies we tell for love, The Way We Weren’t. Shedding a light on the hilarity at which we change ourselves in order to make ourselves more attractive as a potential partner, this feel-good, romantic comedy directed by Rick Hays took away top honors at the 2018 Portland Comedy Film Festival with it’s refreshing, new take on the story of a mismatched couple. Starring Fiona Gubelmann (The Good Doctor, Wilfred, One Day at a Time) and Ben Lawson (The Good Place, 13 Reasons Why, Designated Survivor) as the picture perfect, but ill-fated couple, and featuring Amber Stevens West (Greek, The Amazing Spider-Man), Keith Powell (30 Rock, Syrup), Tobin Bell (Saw, The Flash) and Alyssa Diaz (The Rookie, Ray Donovan), The Way We Weren’t tells the tale of two people meet just after their previous relationships have imploded and in an effort to make themselves more appealing, exaggerate, fib and outright lie. When they move in together, the deception unravels with the most amusing and spectacular of ways. The Way We Weren’t will be available on DVD and VOD just in time for Valentine’s Day on February 12, 2019. Since meeting online, Charlotte (Fiona Gubelmann) and Brandon (Ben Lawson) have fudged, padded, glossed over, reimagined, and outright lied about everything in an attempt to be each other’s perfect match. But despite overcoming all the obstacles there’s one thing their 10-day-old marriage might not survive...each other! After they said their “I dos” the fronting is about to end and they’re going to get a hilarious, hellish and surprising look at just who they’ve vowed to spend the rest of their lives with. Will familiarity breed contempt... or bliss? “We hope that people come away from the film remembering that being in love, even when it's messy, maddening, and feels like a sucker-punch to the heart, is always grand!” DiMuccio continues. “And it’s infinitely better than the alternative”. “I think most people in this modern era of dating and social media can relate to having too many options and the fear of missing out on something better,” Lawson continues. “ I think it’s true that at a point you need to block out all the noise and channel your efforts into one thing, one person, one endeavor, whatever it is. In France they say “le mieux est l’ennemi du bien” The best is the enemy of the good. I think once we accept that there’s always going to be something better, that even when we achieve our goals we immediately set new ones, we can begin to enjoy what we have and allow ourselves some happiness”. 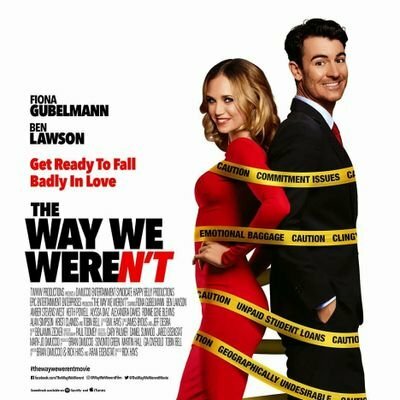 “The Way We Weren’t is the perfect romantic comedy to release on Valentine’s Day for all us who can’t seem to find the perfect match, or… maybe our “perfect” match is not perfect, and then this is what makes him or her just perfect”, says Lise Romanoff, CEO/Managing Director of Vision Films. Filmmaker Lorenzo DeStefano and his team have created a dynamic and engaging portrait of nearly two years in the life of a tight knit American family, a single mom and her two kids, living paycheck to paycheck in working class Oxnard, California, with Rachel’s stunning music as the soundtrack. “Hearing is Believing” revels in Rachel’s joyous and free-flowing love of song, illuminating the bonds of family and the divine mysteries of creativity. Rachel Flowers is a true survivor, a hyper-abled individual whose inspiring story has the potential to be a beacon of hope out there. 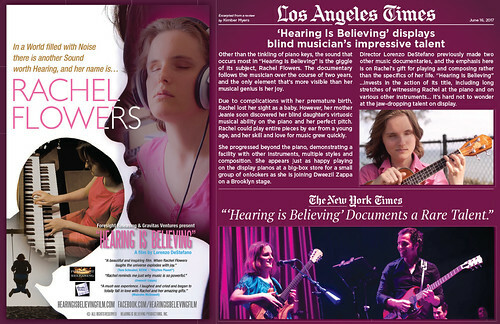 Appearing with Rachel in “Hearing is Believing” are Grammy winners Arturo Sandoval, Stevie Wonder, Dweezil Zappa, two-time Grammy nominated jazz pianist, Taylor Eigsti, the late Progressive Rock icon Keith Emerson, Hawaii ukulele master Benny Chong, and 50 members of the Santa Barbara Youth Symphony performing Rachel's original composition, “At The End Of The Day”. Rachel has appeared at the Havana International Jazz Festival (2016), Progfest 2017 & 2018, and at the PDX Portland Jazz Festival (2018). She has shared the stage with Dweezil Zappa, Arturo Sandoval, Taylor Eigsti, Jeff “Skunk” Baxter, Marc Bonilla, Jordan Rudess, Steve Porcaro, Rick Wakeman, Burt Bacharach, Bob Reynolds, Cuban legends Bobby Carcassés, Bellita Y Jazz Tumbatá, and Orlando "Maraca"﻿﻿﻿﻿ Valle, the Young Musicians Foundation Debut Orchestra and the Birmingham (UK) Symphony Orchestra. Rachel has performed since her youth for Ray Charles, Stevie Wonder, Quincy Jones, Clark Terry, Herbie Hancock, Herb Alpert, and Wayne Shorter. She has three albums in release – “Listen” (2016), “Hearing is Believing Motion Picture Soundtrack” (2017), and “Going Somewhere” (2018). Rachel is a very active part of several jazz lineups in California and is composing original songs and works for orchestra, jazz combo, piano, and voice. At this point in her eventful musical career she is deeply exploratory, forging a variety of stylings as immensely accomplished as they are uniquely her own. If you are a Rachel Flowers fan or have just discovered the story and music of this astonishing young talent, we hope you won't miss this rare chance to see the film & Rachel, all in one night. This is Rachel's L.A. Concert debut. 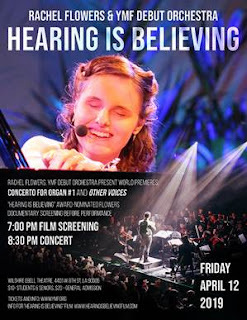 "Hearing is Believing" filmmaker Lorenzo DeStefano will also attend. bringing musical opportunities to children and young adults since 1952. This event will help support their important arts education work for years to come. 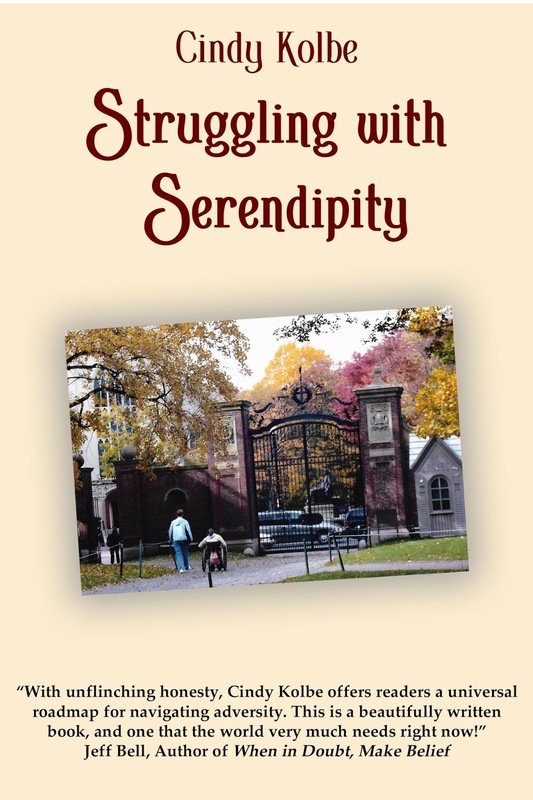 Cindy is the author of the new Struggling with Serendipity memoir. She has been a lifelong disability advocate, even before her youngest daughter's spinal cord injury. She managed group homes, ran a non-profit, and taught literacy to adults with disabilities at a state institution. An active volunteer, she served on the Ohio Swimming Board of Directors as Adapted Chairperson for swimmers with a disability. She is a Peer Mentor, Guest Blogger, and Regional Champion for the Christopher and Dana Reeve Foundation. She supports other Warrior Momz and the international nonprofit AbleThrive. She also provided four years of personal care after Beth's spinal cord injury. 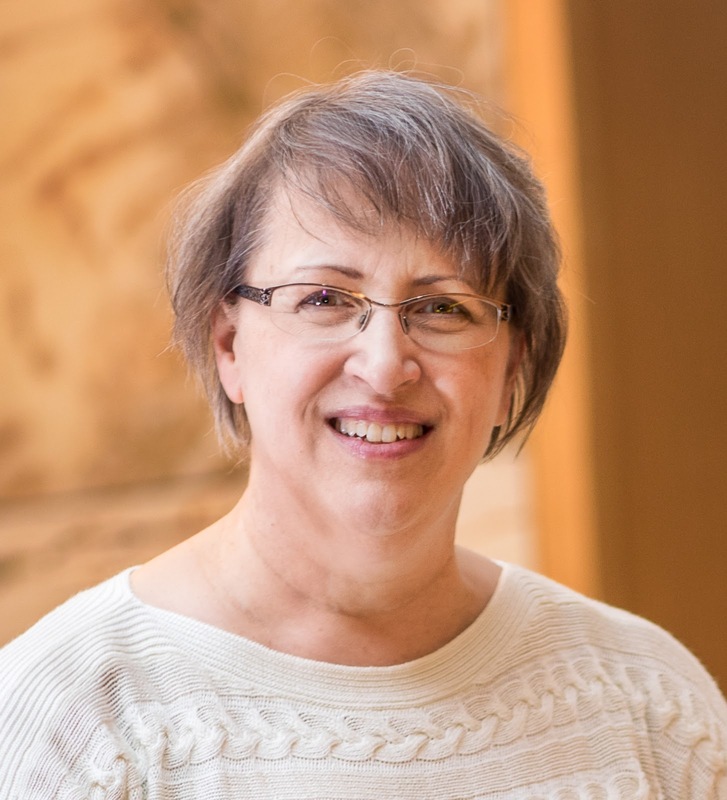 Cindy is a mom on a mission to share the power of hope and connection. Since March of 2016, Cindy published 50 articles related to disability and mental health in many different media. (Listed on her "Press and News" webpage!) 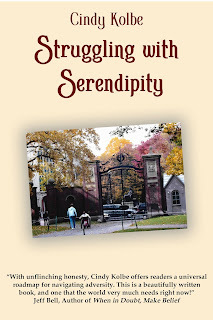 She also writes a popular blog and her upcoming memoir, Struggling with Serendipity, will be available on April 9, 2019 everywhere books are sold. Cindy attended Ohio State University as one of thirteen Freshman Scholars in 1976, and majored in English at Heidelberg College. She married her best friend John 41 years ago and raised three children in Tiffin, Ohio. Beth works as a lawyer, Ben is a librarian, and Maria teaches young students with disabilities. Cindy and John also lived in Massachusetts and South Carolina before his retirement from teaching. They recently moved to the beautiful Shenandoah Valley to be closer to their children. Cindy’s new memoir, Struggling with Serendipity, shares her battle with depression and guilt after her daughter injury. They shared unexpected adventures from their small town in Ohio to Seattle, Harvard, Capitol Hill, and around the world. Cindy is a writer with a blog and more than 50 articles since 2016 in Power of Moms, Motherly, AbleThrive, This Is My Brave, Reeve Foundation, and other media. She is on a mission to share a message of hope for those in crisis.